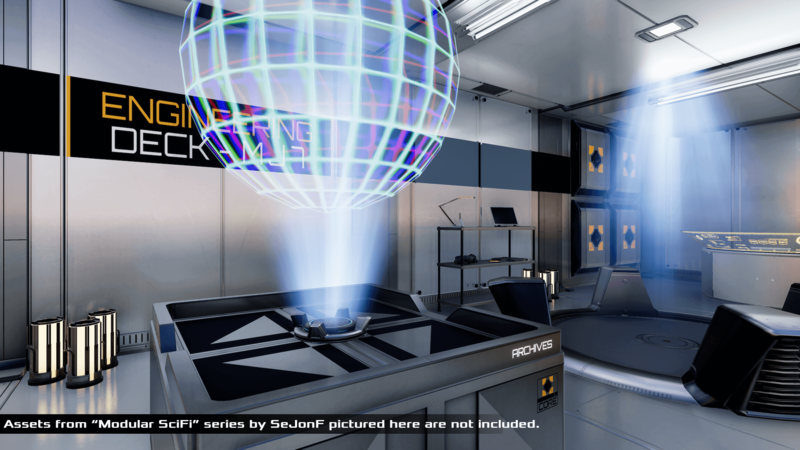 Complete or start your Sci-Fi decals collection with the Sci-Fi Decals Vol. 4 asset pack. Volume 4 comes with 96 Square decals of various designs. 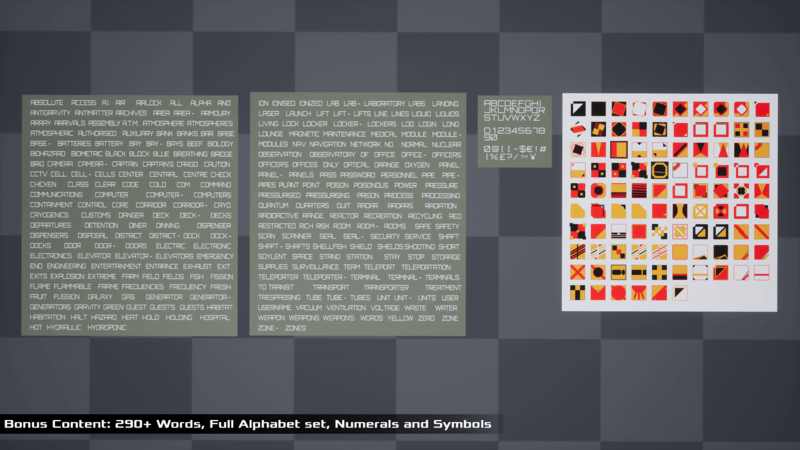 The bonus content including full English alphabet, numerals and symbols set, plus 294 English Words is also included. 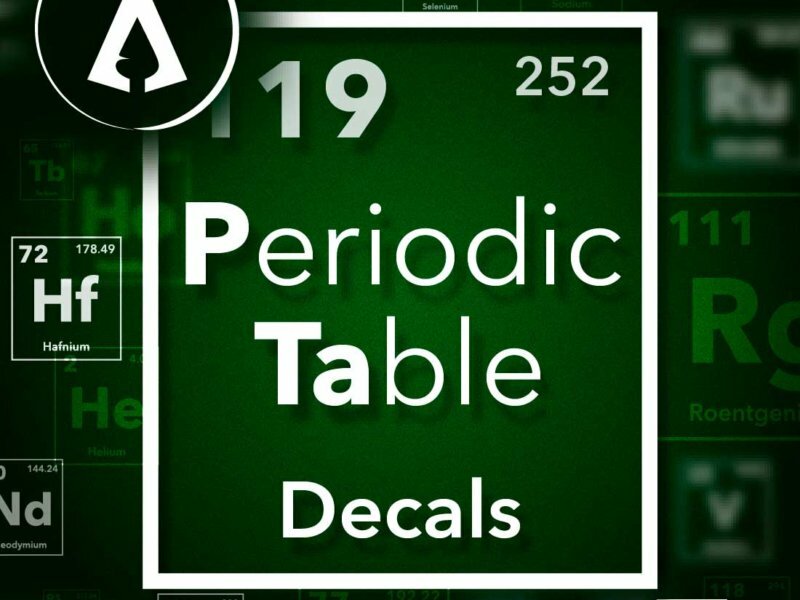 The HG Sci-Fi Decals series was designed with customization, scalability and versatility in mind. 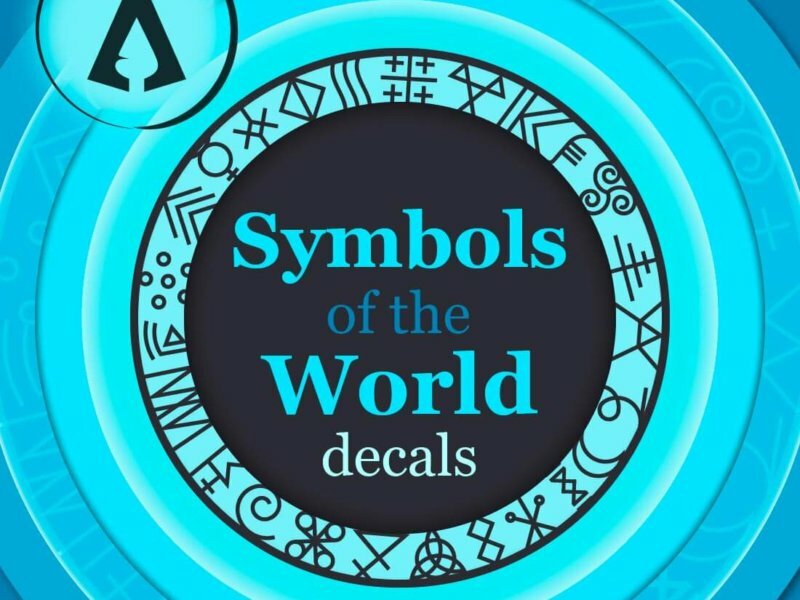 Change the appearance of the decals to fit your project. Change the colors, add scratches and configure their appearance or add a normal to give it that extra feel. For ease of use we included a full alphabet set as well as 290+ words, to create your own combinations. We also included a DBuffer Master Material in case you want to switch the Parent Material of a Decal without affecting the rest. We have also include a Master Material with the User Interface Material Domain. This enables you to use the decals with Widgets. 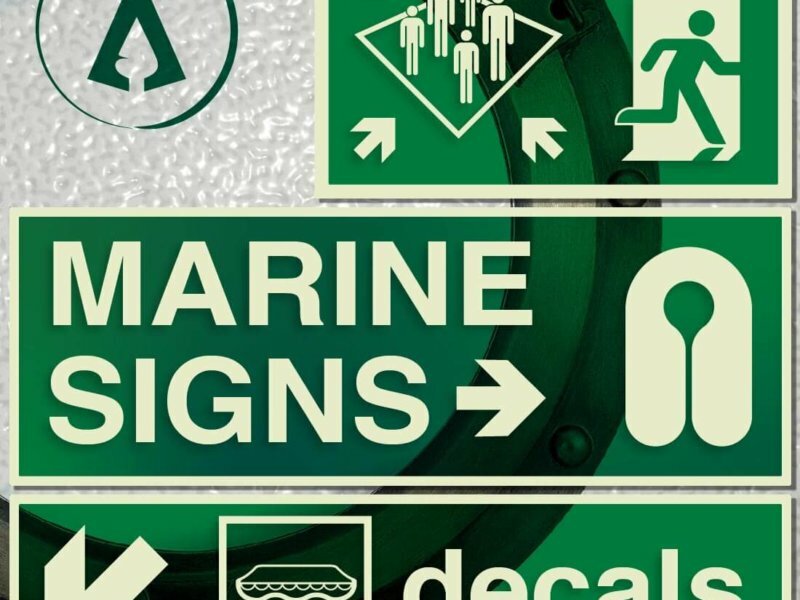 The decals can be used on very small surfaces, such as buttons on a keypad or on huge surfaces like a hangar floor. Your imagination is the limit, use them to create a fictional alien language, as tattoos on your characters or even as UI elements on an alien device. That’s why all the textures come in five different sizes from 512 x 512 to 4096 x 4096. 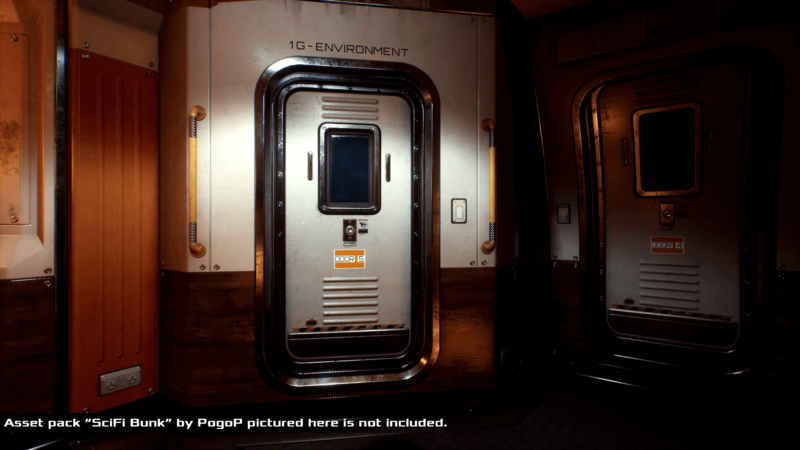 This asset pack was created with existing sci-fi asset packs in mind but is not limited to them as you can add them to any project or theme you see fit. 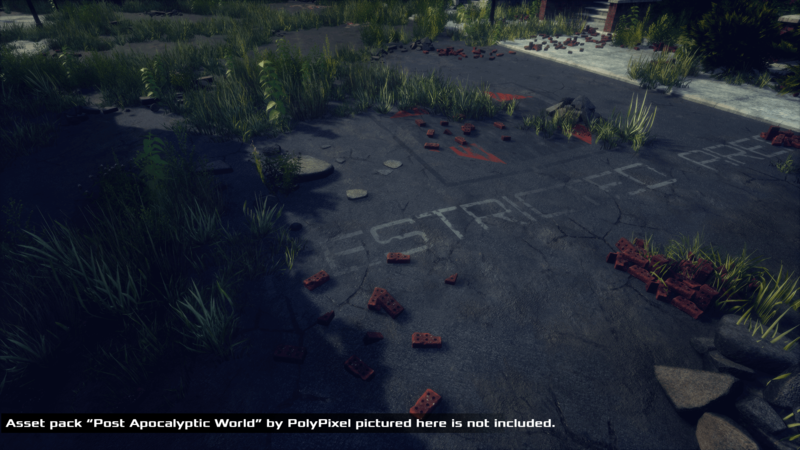 For more examples on how to use this asset pack check out our Unreal Engine Forum page. 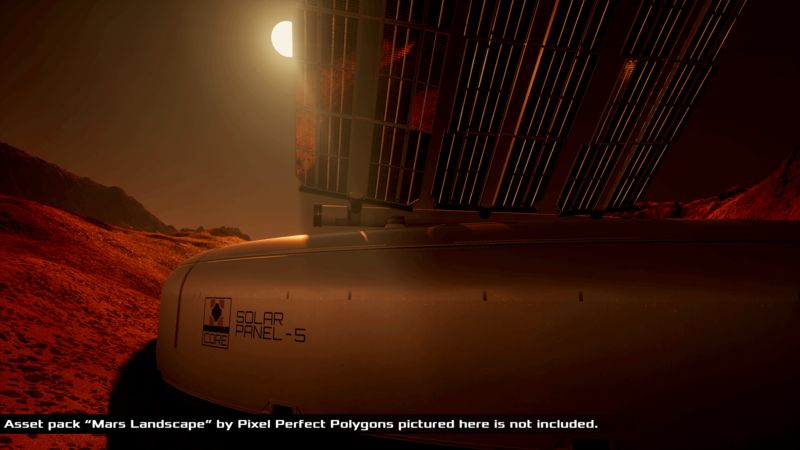 All other assets shown in the screenshots besides those found in Sci-Fi Decals Vol. 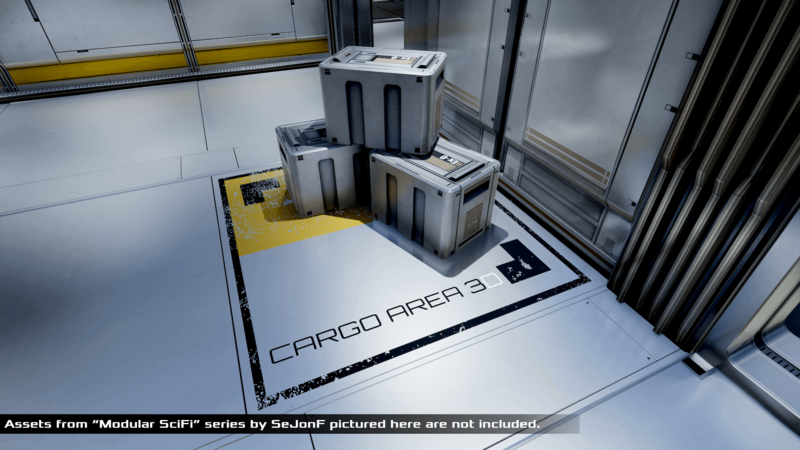 4 are for demonstration purposes only and are not included in this asset pack. The Sci-Fi Decals Vol. 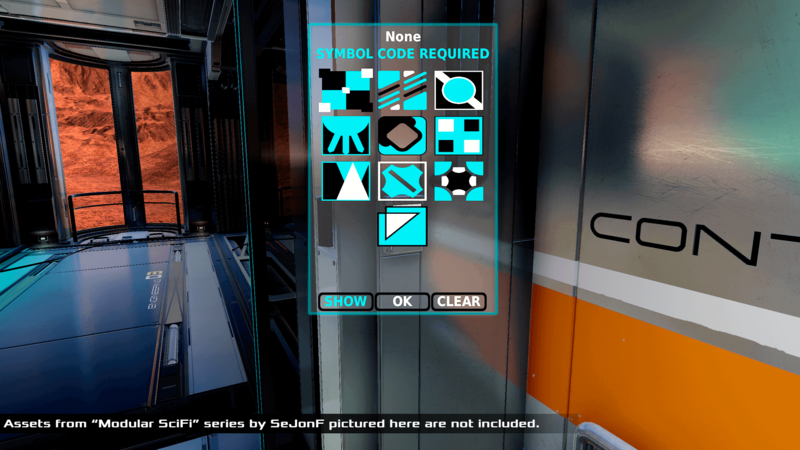 4 asset pack comes with 96 Square decals of various designs.